Claremont, Calif. (June 13, 2014)—Pitzer College alumna Shiyana Gunasekara ’14 has been awarded a Jesse M. Unruh Assembly Fellowship and alumnus Nicholas Romo ’14 received a California Senate Fellowship—two of the four fellowships administered by the Capital Fellows Programs of the Center for California Studies. These programs give outstanding college graduates the opportunity to wade deep into all aspects of government in the California State capital. Gunasekara, an economics and political studies double major, was selected as a 2014-15 Jesse M. Unruh Assembly Fellow. Through this 11-month fellowship, Gunasekara will work full time as a professional legislative staff member and be involved with all aspects of public policy formation. At Pitzer, she competed with Pitzer’s Model United Nations team, served on the 5C Asian-American/Pacific Islander Advisory Board, and worked as an economics tutor and admission fellow. 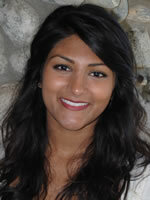 She studied abroad in India and interned with US Senator Dianne Feinstein in Washington DC. Gunasekara also received a Fulbright Fellowship to Sri Lanka and a Coro Leadership Fellowship to St. Louis this year. Romo, a political studies and sociology double major, has been named a California Senate Fellow. He will be assigned to the office of a California senator or policy committee and work as a part of the public policy staff team at the California Capitol in Sacramento. 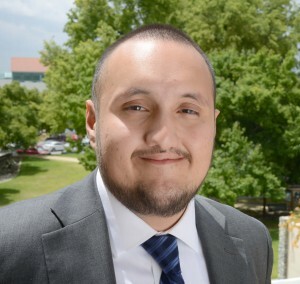 During his four years at Pitzer, Romo served as chair of Student Senate his senior year, worked as Native American student coordinator at the Community Engagement Center and was an active member of the Latino Leadership Council, among many other activities. He studied abroad on the Pitzer in China program. Each year, the nationally recognized Capital Fellows Programs provides 18 Assembly Fellows, 18 Senate Fellows, 18 Executive Fellows and 10 Judicial Administration Fellows the opportunity to engage in public service and prepare for future careers, while actively contributing to the development and implementation of public policy in California.